Newcomer Family Obituaries - Vernon G. Landis 1932 - 2018 - Newcomer Cremations, Funerals & Receptions. 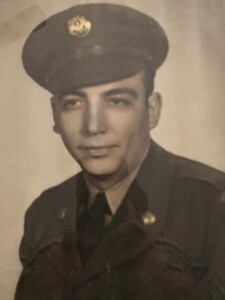 Vernon Landis, age 86, passed away Sunday, December 2, 2018. He was born on May 21, 1932 in Plumwood, OH. Surviving family includes wife of 64 years, Doris; son, Gary (Debbie) Landis; grandchildren, Spencer (Kati Darling) Landis, Megan Landis, Matthew (Morgan) Riley and Timothy Riley; great-grandchildren, Quintin Landis, Jaxon Landis and Oliver Riley; siblings, Doris Manning and Dorothy Reed; also survived by many nieces and nephews. Preceded in death by parents, Dewey and Emma Landis; son, Jeffery Landis. Visitation will be held Thursday, December 6, 2018 from 5-7 p.m. at Newcomer Grove City, 3393 Broadway. Funeral service will be held Friday, December 7, 2018 at 1:00 p.m. at the funeral home. Burial to follow at Grove City Cemetery - New Section, Grove City, OH. In lieu of flowers, memorial donations may be made in Vernon's name to The Columbus Veterans Administration Hospital by visiting, www.pay.gov/public/form/entry/101/. Add your memories to the guest book of Vernon Landis.